This year has been a very busy holiday season for us…more so than in years past. What is different this year? Our daughter appeared in The Nutcracker Ballet. If you have ever been involved with performing arts, you know how demanding the practices and rehearsals are. “Tech Week,” as it’s known in the performing arts world, is the week leading up to the show where all the sets, costumes, and practices are moved to the performance venue. It is a long week filled with dress rehearsals, late nights, and of course, the performances themselves. From parents to performers to producers, everyone is drained by the end of the week! I survived the week by making lists, keeping up with exercise, and scheduling some down time. 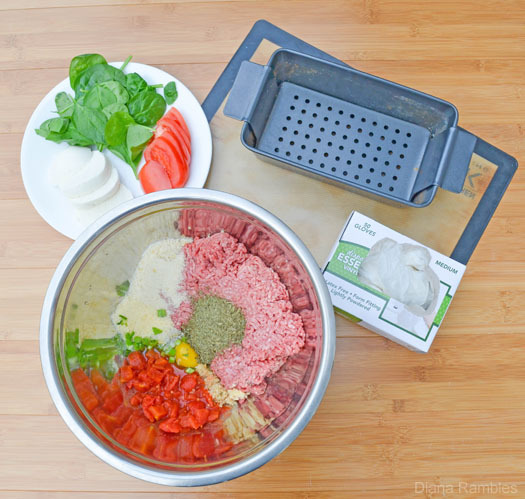 I planned nutritious meals that could be prepared ahead of time and taken on the go, such as this Italian Meatloaf. Put the first 8 ingredients in a large mixing bowl. Wearing food-grade disposable plastic gloves, mix the ingredients thoroughly by hand. Form a flat, large rectangle with the meat mixture on wax paper or a silicone mat. The rectangle should be about the width of your baking dish. Place the spinach and Mozzarella on one end of the meat. Carefully roll the meat into a loaf, starting at the end with the cheese. Place in baking dish. I use a meatloaf pan that lets the grease drip out of the loaf. When it comes to nourishing my family, I choose Schnucks. Schnucks carries the finest quality fresh produce and meats. The best part? I drive by Schnucks as I take my daughter to and from school each day. It’s easy to stop in and pick up all of the necessities our family needs. Not only do I save time, but I also save money by taking advantage of Schnucks’ Savings Salute. Schnucks salutes their loyal customers by lowering prices across the entire store. This makes Schnucks the perfect stop for all of your holiday and everyday needs. I stop by Schnucks for fresh ingredients quite often. 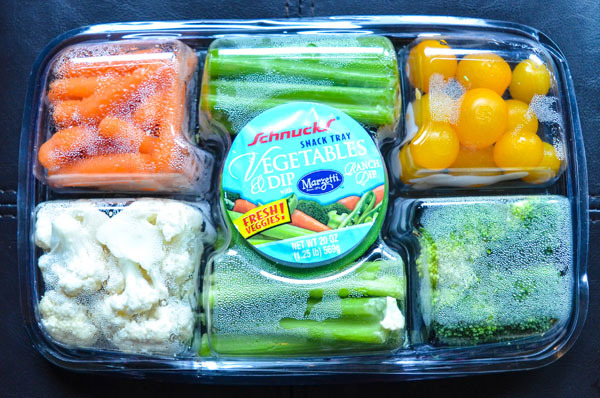 Just the other day I ran in and picked up this veggie tray to take to The Nutcracker cast party. In the meatloaf recipe above, I used disposable plastic gloves to mix my meatloaf by hand. This kitchen hack is one of my favorites to use during the holiday season. Gloves keep my hands clean, which means I wash them less, keeping them from drying out from all of the extra use in the kitchen around the holidays. My hands are soft after all the cooking and baking. I’ll be keeping that box of gloves close by all season! I’ve shared a nourishing recipe and a great kitchen hack. What is your favorite kitchen hack?